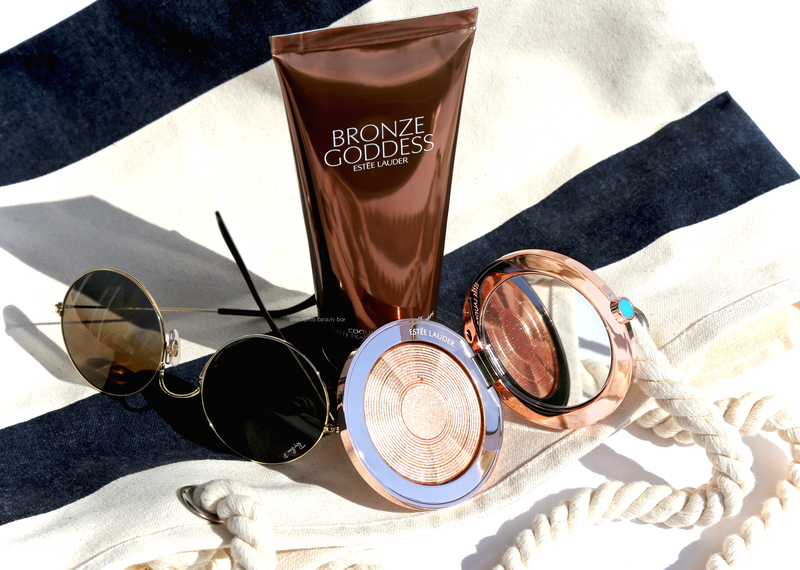 Estée Lauder’s Bronze Goddess 2018 Collection (limited edition) hits every single one of my buttons; for starters, there’s ‘bronze’ and all the summertime heat that the name implies, then there’s ‘goddess’ — self-explanatory, am I right? And if all that isn’t enough, there’s the scent that can only be described as captured summer … and just like that, I’m a goner. 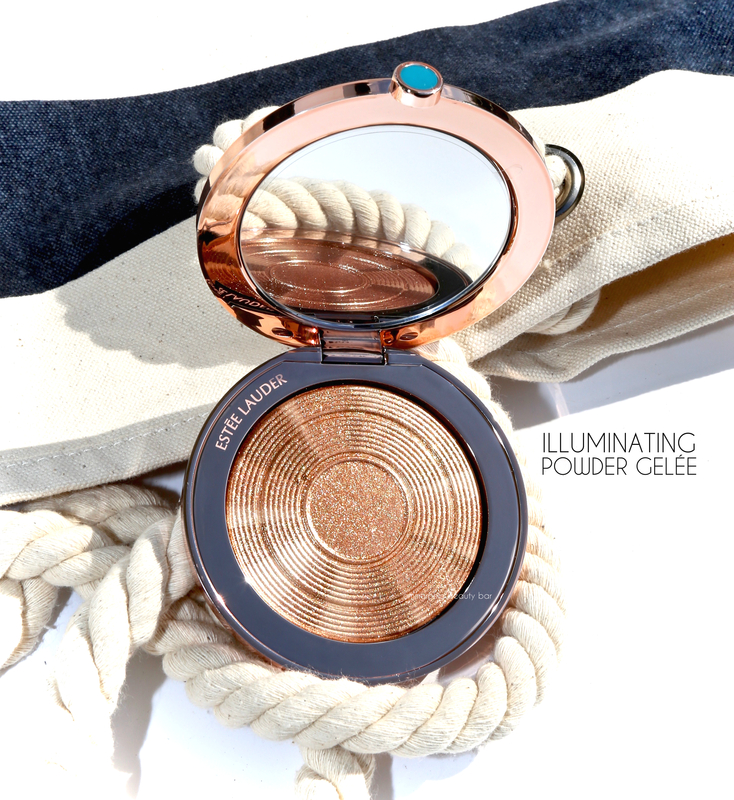 Bronze Goddess Illuminating Powder Gelée (CAN $58.00) | The undisputed star piece of the collection and the one that usually sells out faster than you can blink, this year’s version comes housed in the same compact design as last year’s but with a reflective as opposed to matte casing. 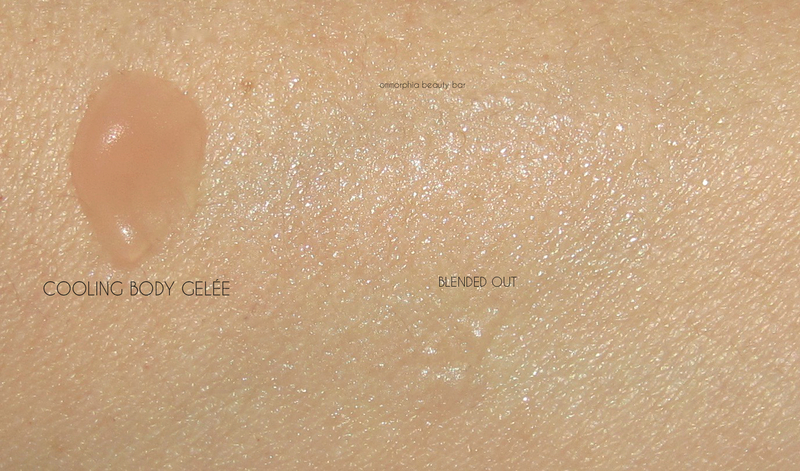 The pattern on the surface has ridged rings with alternating radiating shades, and the formula is that unique tri-brid cream/powder/gelée that is ultra-pigmented and exceptionally velvety to the touch. 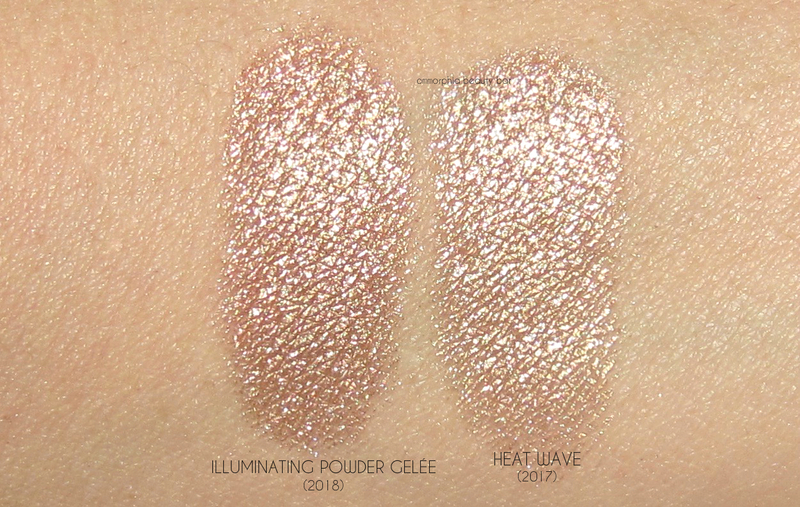 The colour variations in the powder create a soft bronze/rose gold hue which blends out beautifully along the skin — although I suggest starting with a light hand and building up if need be, as this baby is rather intense. 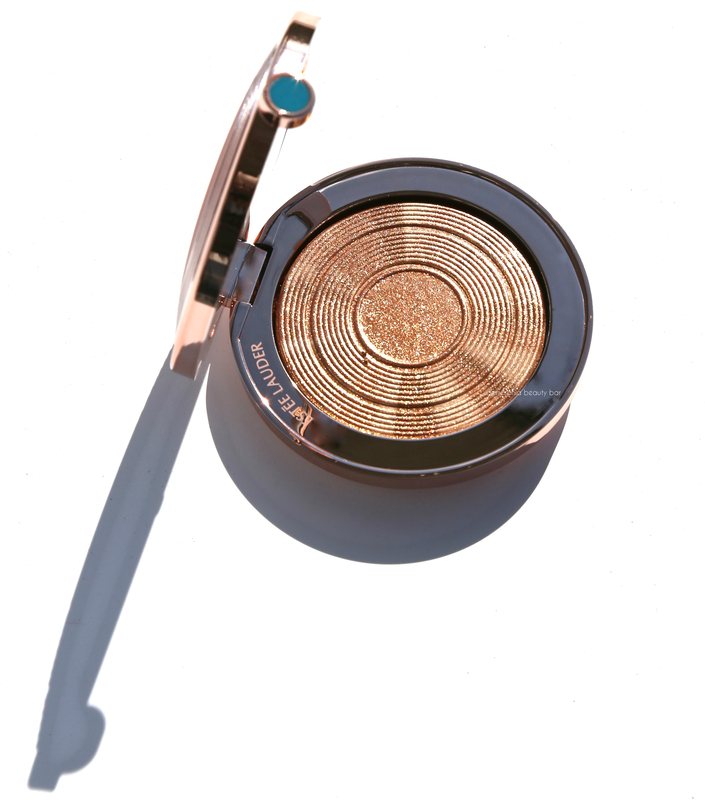 The finish is quite brilliant as well so don’t go into it expecting this to be a bronzer; it’s not. 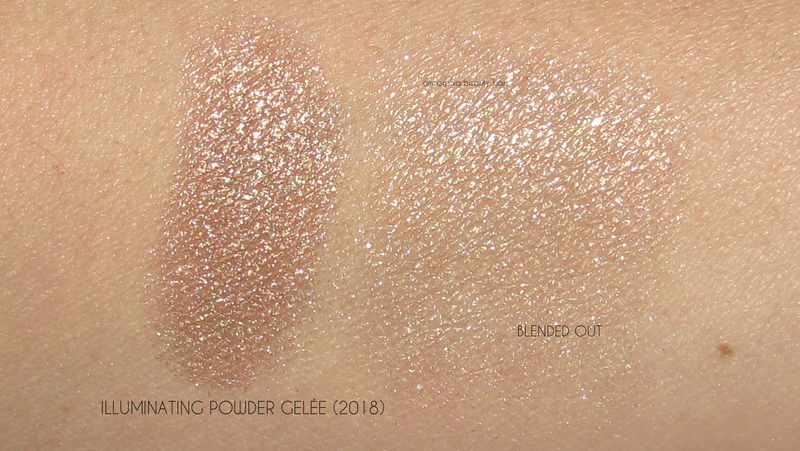 This is a highlighter of epic summer proportions and can be worn in the traditional way (upper cheekbones & other high points of the fact), used as eyeshadow, or even dusted along collar bones/shins if you’re feeling extra. I immediately went into my stash to pull out last year’s compact to compare and while identical in texture & finish, there’s still enough colour variation (although nothing excessive) between the two, with the 2018 version definitely leaning rosier compared to Heat Wave (reviewed in detail here). 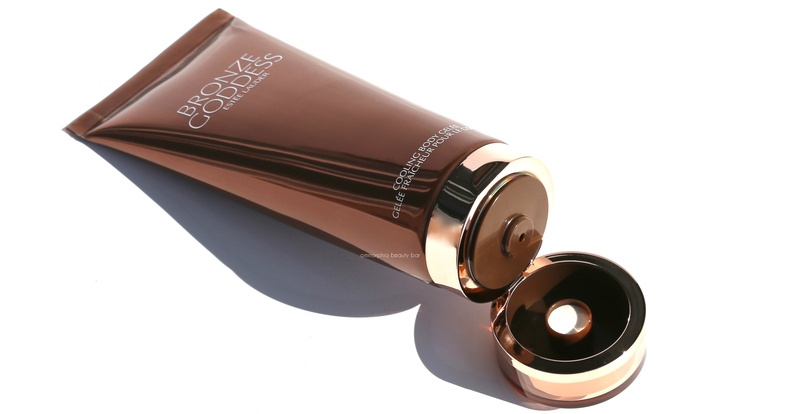 Bronze Goddess Cooling Body Gelée (CAN $58.00) | Created with glycerine and Hyaluronic Acid, this has got to be THE après-beach body lotion to rule them all. The soft jelly-like texture imparts an immediate cooling sensation to the skin — again, perfect for anyone who’s ever overstayed their time beachside (me, all the time), and while I can’t say for sure if that sensation will linger, it does seem to provide a wonderful sense of skin hydration. The fragrance is 100% beach (think: sun, sand, surf, and anything tropical) and very redolent — something that those with sensitivities should note. That said, I find that I don’t need to add any other scent when wearing this Gelée, which also means that I can pack much lighter for my next trip. 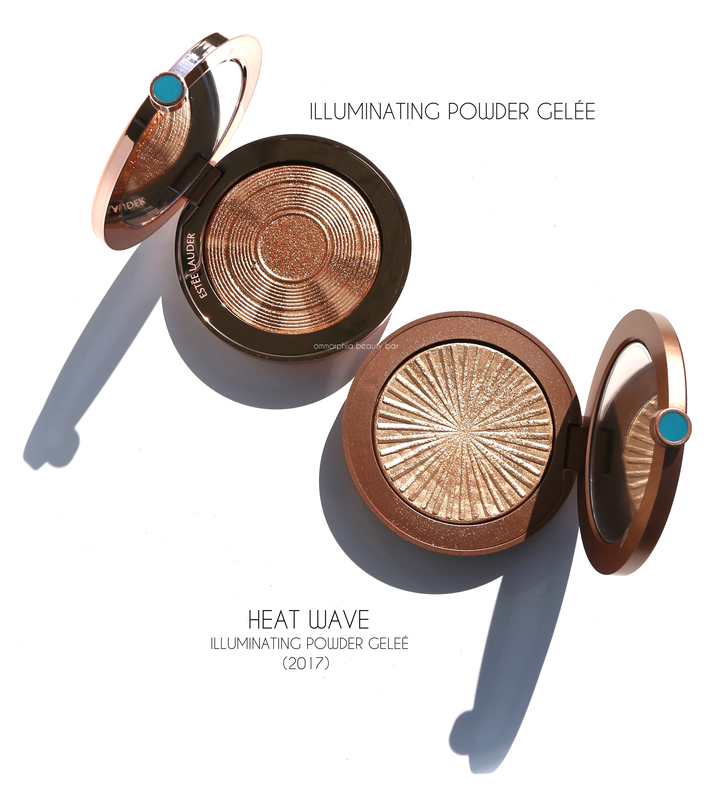 Estée Lauder’s summertime collections are always highly anticipated and this year’s Bronze Goddess 2018 version is nothing short of one big massive hit — and even though I haven’t played with any of the other pieces, I’m good with the two shown here. 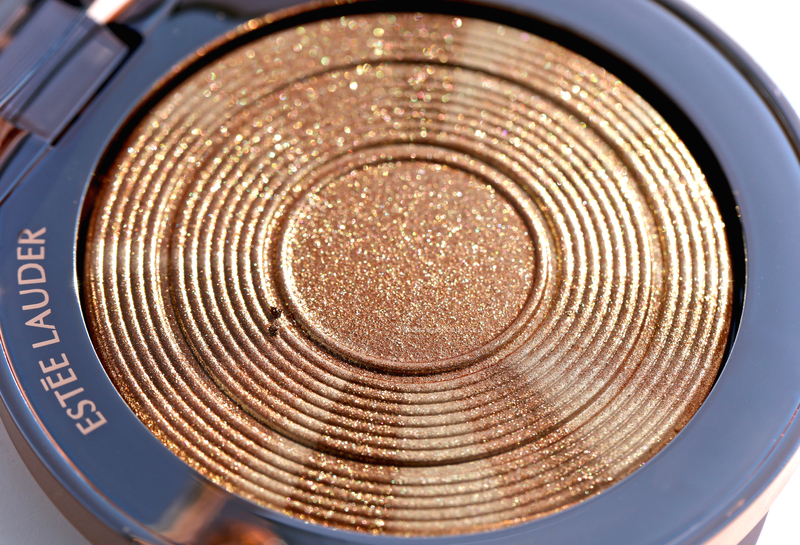 The texture on the Illuminating powder needs to be felt to be truly understood, and then be prepared to want to collect each one that is released. As to the Body Gelée, I do believe I have found my summer body lotion + fragrance rolled into one. I call that a win-win. This collection looks stunning! Perfect for summer!! 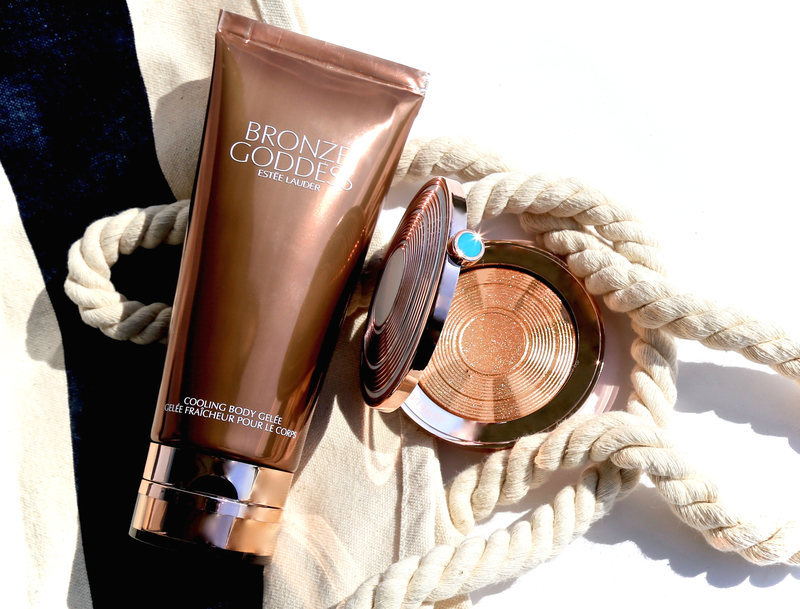 Love their bronze goddess bronzer so I’m sure I’ll love these as well. I must admit, that both these products are winners!